We are an international programme of Transparency International situated within Transparency International UK in London. In 2000, Transparency International UK brought together governments, defence companies, academics, and civil society organisations to consider whether circumstances had changed so that it would be possible for civil society to engage with the problem of corruption in the defence sector and national defence establishments. Today, Transparency International Defence & Security Programme is an international programme of Transparency International situated within Transparency International UK in London. Since 2004, we have actively engaged with the defence and security ministries and armed forces of a wide range of countries, including Colombia, Norway, Afghanistan, Bulgaria, Ukraine, the UK, Greece, Croatia and Bosnia. We have also worked directly with individuals from defence ministries, security ministries and armed forces from more than 35 nations through training programmes, research, workshops and roundtables, and high-level policy action. 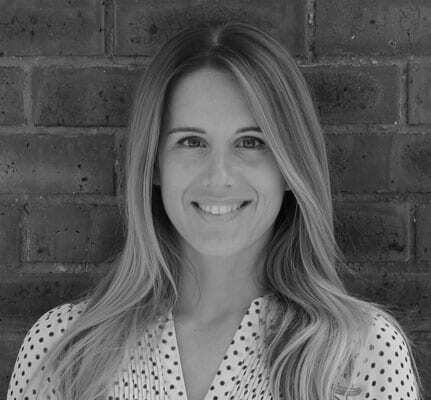 Mia joined Transparency International’s Defence and Security Programme in August 2017 as Project Manager in the Industry Integrity team. She works on projects related to defence industry influence on policy making as well as the Defence Companies Anti-Corruption Index. Mia joined TI after two years in North Korea at the United Nations Resident Coordinator’s Office where she worked on humanitarian, development and security matters. Before that she managed research projects on consumer issues for a variety of clients in the private sector. She holds MSc degrees in International Relations and Social Psychology from the University of Amsterdam and speaks Dutch and Croatian. Jodi Vittori is the Washington, DC-based Research and Policy Manager. She is also a non-resident fellow at the Carnegie Endowment for International Peace and she teaches on corruption and governance at Georgetown University. Prior to joining TI-DS, Jodi was a senior policy adviser for Global Witness, where she managed educational and advocacy activities on linkages between corruption and national security. Prior to that, Jodi served in the U.S. Air Force, advancing to the rank of Lieutenant Colonel; her overseas service included Afghanistan, Iraq, South Korea, Bosnia-Herzegovina, Saudi Arabia, and Bahrain, and she was assigned to NATO’s only counter-corruption task force. She was an Assistant Professor and military faculty at the US Air Force Academy and the National Defense University’s College of International Security Affairs. 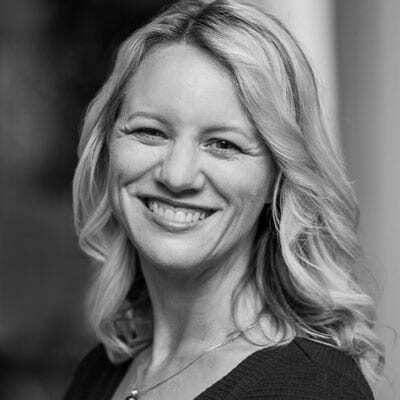 Jodi has published on conflict finance and illicit financial flows and she is the author of the book Terrorist Financing and Resourcing and a co-author of the handbook Corruption Threats and International Missions: Practical Guidance for Leaders. She is a graduate of the US Air Force Academy and received her PhD in International Studies from the University of Denver. Charlotte joined DSP in March 2018. She works primarily on the Defence Companies Anti-Corruption Index, while also contributing other aspects of the programme from admin to research. Charlotte has a background in political risk and corporate security services. She graduated from the University of Nottingham in 2017 with a MSci in International Relations and Global Issues, and speaks French and Spanish. 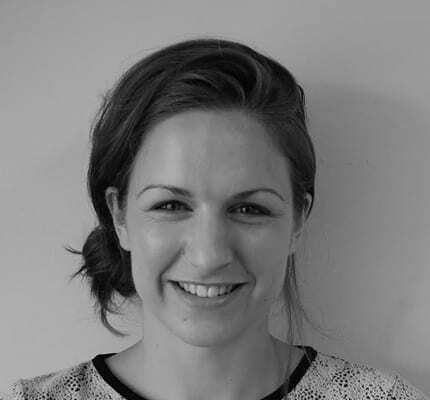 Claire joined TI-UK in April 2014. Claire’s interest in TI stems from several years working in SE Asia in an environmental capacity, having witnessed the impact of corruption in this context. 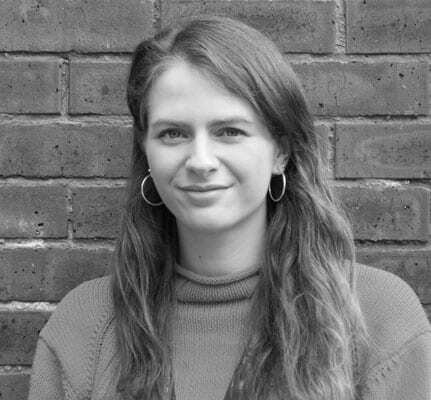 Currently studying MSc Global Environmental Politics & Policy, Claire is particularly interested in environmental governance and climate finance integrity. 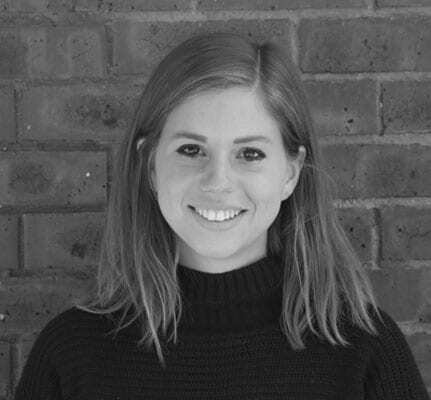 Flora joined TI Defence & Security in September 2018 as a Project Officer in the Responsible Defence Governance team, where she supports global advocacy efforts on the Government Defence Anti-Corruption Index. Prior work experiences include her time spent working in support networks for refugees, at UNESCO and the EU. Flora holds a Masters in International Security, from Sciences Po Paris & Peking University and speaks French, English, Mandarin and Spanish. Najla joined DSP in September 2017 as a Project Manager in the Conflict and Insecurity team. She works on projects related to tackling corruption in the defence and security sectors in fragile and conflict-affected states. Prior to joining TI, Najla managed media development, governance, and humanitarian-related research projects across the Middle East and North Africa region for BBC Media Action, an international development organisation. 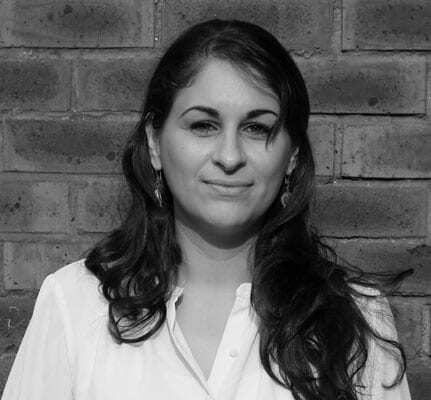 She holds an MA in Human Rights Law from SOAS, University of London and speaks Arabic. Karolina joined DSP in August 2014. She leads the team’s work with NATO on the political and military levels and is responsible for research and policy recommendations aiming to mitigate the impact of corruption on interventions in fragile states. 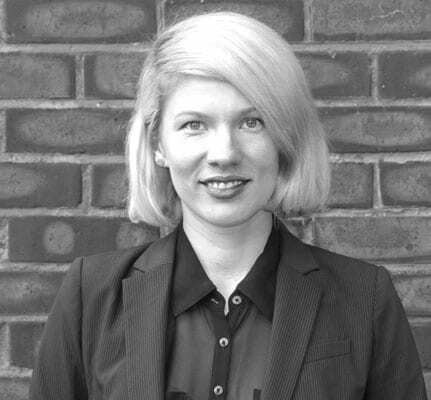 Prior to joining TI, Karolina worked at the UK House of Commons, managing inquiries for the Environmental Audit Committee and supporting the Committee on Standards. She holds a PhD in War Studies from King’s College London, where she focused on the Canadian deployment in Afghanistan as part of the International Security Assistance Force. Henna coordinates the training activity that takes place across the team. She worked previously as the Operations Intern in TI Defence & Security, assisting with MEL, ad hoc research and budgetary processes. She has experience in account management and digital marketing. 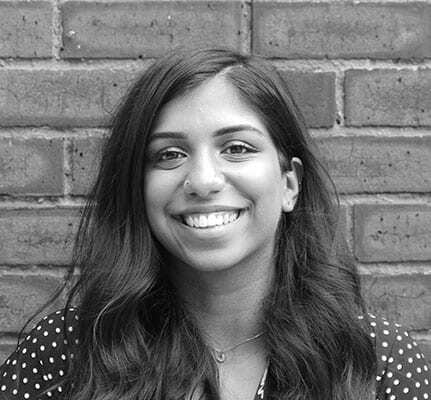 Henna has an MA in International Relations from the University of Warwick, focusing on new global security challenges and the complexities of drone warfare. From 2015 to 2017, Olena Tregub headed the Department for Coordination of International Programs at the Ukrainian Ministry of Economic Development and Trade. She was responsible for programs and development projects funded by international grants and loans totalling about $12 billion. After the Revolution of Merit, Olena developed mechanisms for coordinating international assistance and approving national priorities and areas of reform. She also ensured the effective and transparent use of funds and public access to information on assistance, through the online openaid.gov.ua system. 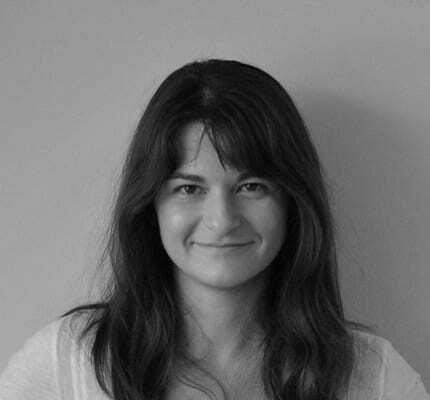 Previously, Olena worked in the field of journalism, education and international development. Olena had experience at UN Headquarters in New York, taught international relations at American universities, and collaborated with The New York Times and KyivPost. 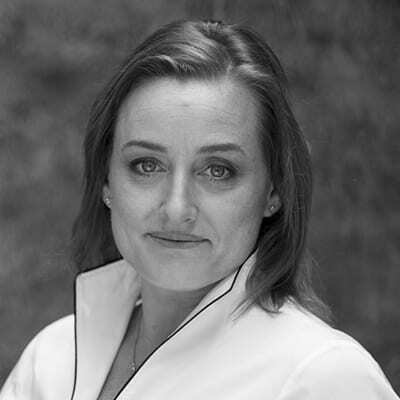 In 2008, she founded the Global Education Leadership consulting company in the United States, which has implemented South America’s professional development and training programs for young North Americans in Poland, Ukraine, Costa Rica, as well as providing educational consulting and leadership training. Olena’s professional growth took place in three countries: USA, Poland, and Ukraine. She lived in the United States for more than 10 years. After the events on the Maidan, Olena returned to Ukraine to contribute to the country’s reform. Today, Olena is a Millennium Fellowship scholar at the Atlantic Council of the United States, a leading American think-tank on international issues. She is also a member of the network of young leaders of the World Economic Forum. She graduated from the Fletcher School of International Law and Diplomacy, Central European University and Kyiv-Mohyla Academy. Dr. Lada L Roslycky is an American-Canadian security expert with over 15 years of experience working with soft power, Euro-Atlantic integration, international law, and democracy building. Her Master’s thesis (published in The United Nations Hague Yearbook of International Law) set the foundational guidelines for the use of weather modification technology as an instrument of sustainable development. Her PhD dissertation (2011 Rijksuniversiteit Groningen) predicted Russia would illegally annex Crimea using a combination of soft power (psychological operations), post-Soviet political-criminal relations, and the Russian Black Sea Fleet. A fellow of the Harvard Black Sea Security Program, she created a formula explaining Russia’s policy of strategic separatism. Lada advises governmental and non-governmental institutions. 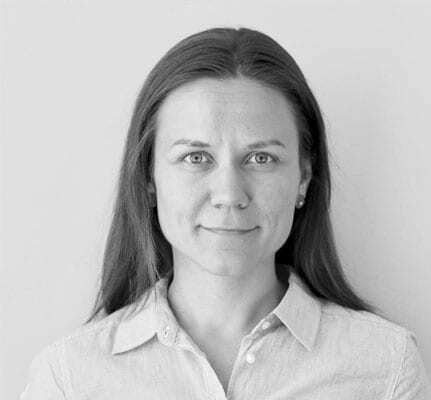 As an external consultant for the Geneva Center for the Democratic Control of the Armed Forces (DCAF) she analyzed private military corporations in Mongolia’s mining sector, NATO Trust Funds and supported work of the Vice Prime Minister of Ukraine on European and Euro-Atlantic Integration. As the Director of Strategic Communications at Ukraine Today, she authored a winning tender for the EU Deep & Comprehensive Free Trade Area communications project. She is an expert writer for the Center for Army Conversion and Disarmament Studies, is cooperating with NATO Science for Peace Program on Cyber Security and is a visiting Professor at Ivan Franko National University in Lviv. Her interests include human rights, public speaking, strategic planning, analysis, peacebuilding, sailing, and, flowers. Emiliia’s interests cover several areas: journalism, translation and EU-Ukraine relations. Over the last six years she has worked at Ukraine’s national TV channels such as ‘Ukraina’, ‘112-Ukraina’ and ‘NTN’. In 2016 Emiliia did a placement at Deutsche Welle in Bonn where she prepared analytical materials on politics and economy. Dieniezhna speaks three foreign languages: English, German and French. She interprets simultaneously for the live streams of summits and press conferences. She obtained her first higher education at the Taras Shevchenko Kyiv National University. She graduated with the degree in Translation from English and German. After that she taught the English language for seven years at her alma mater. In 2018 Dieniezhna got her Master’s degree in Political and Administrative Affairs from the College of Europe (Belgium). Her Master’s paper was about the change of the EU image in Ukrainian media in 2014 – 2017. Taras graduated from Kyiv National University of Civil Engineering and Architecture. He worked as an analyst at a number of government agencies (the National Commission for State Regulation in the Energy and Utilities sector, the Ministry of Regional Development of Ukraine, the Ministry of Economic Development and Trade of Ukraine), as well as on projects for non-governmental organisations (the NGO “Make Ukraine Pure”, Peter- Weiss-Stiftung für Kunst und Politik eV and others). 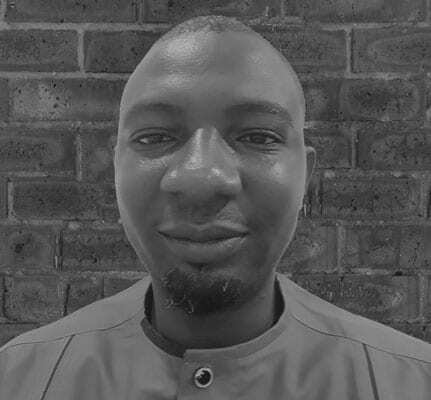 He is currently working in the Secretariat of the Independent Anticorruption Defence Committee (NAKO) on projects to increase transparency in the defence and security sector. Sir Ian Andrews has pursued a wide range of security interests since retiring as Second Permanent Secretary of the UK Ministry of Defence in 2009. From 2009-2013, he was Non-Executive Chairman of the UK Serious Organised Crime Agency – now part of the National Crime Agency – and is the Senior Independent Director of NHS Digital where he chairs the Information Assurance and Cyber Security Committee. He has been closely involved in leading transformational change in large and complex public sector organisations. As senior adviser to the TI Defence and Security programme, Sir Ian is a senior advisor to the board committee of TI-DS and also contributes to various public sector and academic leadership initiatives. Stewart Eldon retired from the UK Diplomatic Service in 2010 where he held Ambassadorial appointments at the UN in New York and Ireland. In 2006 he was appointed UK Permanent Representative to NATO at the introduction of the Building Integrity initiative. Sir Stewart is also now a senior advisor to the board committee of TI-DS. In addition to his work with the TI-DS, he is Senior Civil Advisor to the Higher Command & Staff Course at the UK Joint Services Command & Staff College and sits on the Advisory Boards of the Staff College and of the Strategy & Security Institute at the University of Exeter. He holds a number of quasi-judicial appointments and is a member of The Ambassador Partnership LLP providing training & consultancy services to a wide range of international organisations, governments and private sector clients. Patrick Nopens retired as a Cavalry officer from the Belgian Army in 2008. He served in the Army and Joint Staffs as well as in the Belgian Delegation to NATO and in SHAPE. He was head of the Strategic Studies Department at the Belgian War College. He served twice as Defence Attaché to Moscow, also accredited in the CIS. 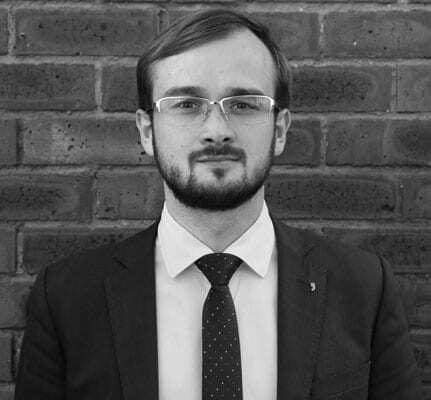 He holds an MA in Military and Social Studies, an Advanced MA in American Studies, a Postgraduate degree in Eastern European Studies and an MA in Military Art and Science. He attended the Belgian and U.S. Army Staff Course and the Belgian War College. He speaks fluent Dutch, English, French and conversational German and Russian. Alan Waldron was a member of the original TI team which introduced anticorruption mechanisms and advocacy into the defence sector and has led the development and implementation of corruption risk reduction engagement and tools with a wide range of Governments including Afghanistan, Bulgaria, Georgia, Colombia, Serbia and Ukraine; and originated the very successful Building Integrity training programme which has been delivered at a range of venues globally and has formed the basis of many NATO, UK and National programmes. A former RAF Director of Training he was also the Director of Air Operations in the UK Ministry of Defence. Matthew Page was until recently the U.S. intelligence community’s top expert on Nigeria. For more than a decade, senior policymakers at the White House, State Department, Defense Department, and in Congress have sought out his analysis on Africa’s most populous country and largest economy. Matthew is the co-author of Nigeria: What Everyone Needs to Know, forthcoming from Oxford University Press. He is also a former International Affairs Fellow with the Council on Foreign Relations. Previously with the Department of State’s Bureau of Intelligence and Research, Matthew also served as Deputy National Intelligence Officer for Africa with the U.S. National Intelligence Council. He also served as senior analyst for West Africa at the Defense Intelligence Agency and as an Africa analyst with the U.S. Marine Corps. After a career with the British Army, which included operational tours in Northern Ireland, Kuwait / Iraq and the Former Yugoslavia, Nick Seymour worked in the UK Mission to the UN as Military Advisor. Subsequently he moved to the UN itself as Chief of Military Planning in the Department of Peacekeeping Operations and then as Chief of the Department’s African Union Peace Support Team. In both appointments the challenges posed by corruption, particularly in fragile states, were all too clear and on leaving the UN in 2011 he joined Transparency International Defence and Security. His background as a planner and trainer, combined with his UN peacekeeping experience, provide him with a broad perspective and he is actively engaged in supporting the programme’s objectives to raise awareness of corruption risk and develop training. Tim Watts finished his regular forces career as a brigadier in 2016, having been the Army’s Signal Officer-in-Chief and subsequently director of a large, overseas procurement programme. Earlier in his career, as a commander and team member, he was involved in military operations, peacekeeping and security sector stabilization in DRC, South Sudan and Darfur, training and procurement. 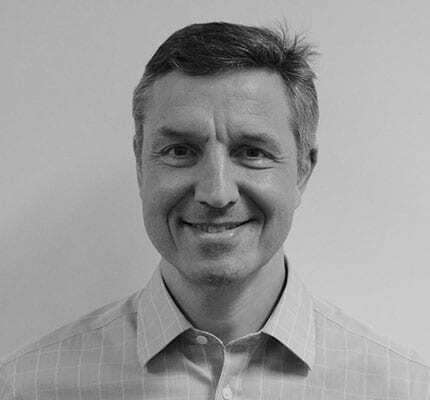 Alongside his work with TI DS as a trainer, mentor and adviser he now consults into the UK MOD and other organisations at home and abroad on IT and communications, and more generally on cyber security and defence transformation. As a reserve forces brigadier he chairs the MOD’s equivalent of Employment Tribunals. Jenni Douglas-Todd has over 30 years public sector experience, mainly security. She represented UK government in UN & EU negotiations including the Czech Republic, New York and Durban. Director of Policy & Research for the UK Independent Police Complaints Commission from 2003-06 leading on conduct matters, from 2006-09 she led the establishment of the legislative/conceptual framework for a law enforcement complaints & conduct system in Turkey. She was CEO for policing in Hampshire from 2009-13 with oversight of high profile conduct & corruption investigations and CEO’s representative on the National Police Procurement Board. 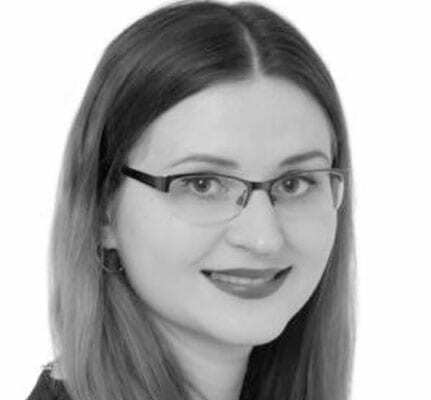 As a management consultant, Jenni has continued to work on defence and security matters in the UK and remains a member of the Judicial Conduct Investigative Office..
Members of the the Independent Defence Anti-Corruption Committee / Nezalezhny Antikorrupciynii Komitet z pytan oborony (NAKO). NAKO’s committee is comprised of six members, three national – Sevgil Musaeva, Volodymyr Ogryzko, Oleh Rybachuk (co-chair) – and three international experts – Lt Gen Tim Evans, Drago Kos (co-chair), and James Wasserstrom. Former Vice Chief of Staff at NATO Supreme Headquarters Allied Powers Europe, Deputy Chief of Staff and later Chief of Staff Allied Joint Force Command Brunssum, Yakovleff has served in France, Germany, Djibouti, and the Balkans, mostly with the French Foreign Legion. Drago Kos is the Chair of the OECD Working Group on Bribery in International Business Transactions. He used to be International Commissioner, and occasional Chair of the Joint Independent Anti-Corruption Monitoring and Evaluation Committee (MEC) in Afghanistan. Between 2003 and 2011 he was the Chairman of the Council of Europe’s Group of States against Corruption (GRECO). Between 2004 and 2010 he was the first Chairman of the Commission for the Prevention of Corruption in Slovenia. Prior to that he was a Deputy Director of the Slovenian Criminal Investigation Directorate, the Head of the Organised Crime Section of the Slovenian Police, and a member of the Council of Europe’s Group of Specialists on Organised Crime. He used to be a soccer player and UEFA/FIFA referee and is now a UEFA/FIFA referee observer. Sevhil Musaieva-Borovyk is a Ukrainian journalist from Crimea, Ukraine, chief-editor of internet publishing Ukrayinska Pravda and an initiator of creating the Krym_SOS foundation. Born in 1987 in Juma near Samarkand, Sevhil returned with her family to Crimea in 1989 when the restrictions against the Crimean Tatars in the Soviet Union were abandoned. In 2004-2010 she studied at the Journalism Institute of Kiev National University. During that period Musaieva also worked for various business news agencies and publishers such as Ekonomichni novyny, Delo, Vlast deneg. From June 2011 to August 2013 she worked as a correspondent for “Forbes Ukraine” until it was bought by Serhiy Kurchenko – young tycoon and a central figure of Sevhil’s investigations. In February 2014, she launched Hubs as business news web portal, becoming its Editor in Chief. After the annexation of Crimea by the Russian Federation, she also became one of the founders of Krym_SOS. Since October 2014 Musaieva has been an Editor and Chief of Ukrayinska Pravda. Oleh Rybachuk graduated from the Faculty of Philology of Taras Shevchenko National University of Kyiv (1975-1980) with a degree in English and French languages and earned the second higher education diploma at the Finance and Credit Faculty of Kyiv National Economic University (1993-1996) with a qualification in economics. In 1997, he studied at the Georgetown University School of Foreign Service. Rybachuk worked as an Inspector and a Senior Inspector at the Kyiv Customs. He has held several positions in the private sector, including Head of the Department of foreign exchange transactions at Kyiv Joint Stock Commercial Exchange Bank «Kyyivbirzhbank», Chief of the Foreign Relations Department, Head of the International Banking Relations Department, and Director of the International Relations Department of the National Bank of Ukraine, and Vice-President of the Black Sea Trade and Development Bank (Thessaloniki, Greece). Rybachuk has also been Chairman of the Supervisory Council of JSC “Oschadbank”, a member of the Supervisory Council of JSC “Ukreximbank”, and a member of the Supervisory Council of PJSC “ArcelorMittal Kryvyi Rih”. In 1999-2001 Rybachuk served as the Head of the Prime Minister’s Office in the Secretariat of Cabinet of Ministers of Ukraine. In April 2002, he was elected a Member of the Verkhovna Rada, and served through March 2005. In 2005, Rybachuk was the Deputy Prime Minister of Ukraine on European Integration. From 2005 to 2006 Rybachuk was appointed State Secretary of Ukraine, and the Chief of Staff to the President of Ukraine. In May-October 2006 — the Secretary of the Political Council under the President of Ukraine. He was also a member of the National Security and Defense Council of Ukraine. In September 2006 he was appointed an Advisor to the President of Ukraine. From December 2007 – non-staff Advisor to the President of Ukraine. In 2008, Rybachuk ceased his duties as presidential advisor. 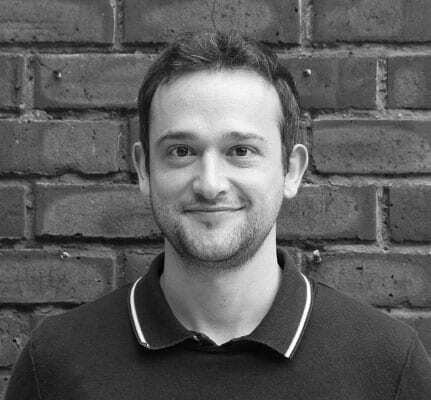 From 2009 to now, Rybachuk has been chairman and co-founder of the NGO «Centre UA», and one of the initiators of the «New Citizen» Public Campaign, the Civil movement “Chesno”, the coalition of civil society organizations “Reanimation Package of Reforms”, and a co-founder of the think tank “Collegium of Anna Yaroslavna”. Dr. Volodymyr Ogryzko began his career in the Ministry of Foreign Affairs of Ukraine (MFA) in 1978, and undertook military service from 1981 to 1983. He was Third Secretary- Counsellor in the MFA, and Counsellor in the Embassy of Ukraine in the Federal Republic of Germany and in Austria. From 1996 to 1999, he was the Head of the Foreign Policy Department of the Presidential Administration. From there, he became Ambassador Extraordinary and Plenipotentiary of Ukraine to the Austrian Republic and Permanent Representative to the OSCE and other international organizations in Vienna. Following that post, he became First Deputy Minister, and then, from 2007-2009, the Minister for Foreign Affairs of Ukraine, and member of the National Security and Defense Council of Ukraine. From March 2009 to April 2010, he was First Deputy Secretary of the National Security and Defence Council of Ukraine. Since 2014, Dr. Ogryzko has been CEO of the Centre for Russian Studies. He also holds a PhD in History. James Wasserstrom is a Former Head of Oversight of Public Utilities at the UN Mission in Kosovo, where he blew the whistle on misconduct involving UN officials and a local company. Following this, he was the Chief Operating Officer at VREthics Ltd. He then became a Senior Advisor on Anti-Corruption at the US Embassy in Kabul, where he was involved in the establishment of the Monitoring and Evaluation Committee, and then became strategy advisor and lead on anticorruption at the Lessons Learned Program for SIGAR Special Inspector General for Afghanistan Reconstruction.